Around 2009, George Cardas was working on an IEM cable when he had a great idea for an over-ear headphone cable. The IEM cable was put on hold (a larger form of which would eventually become Clear Light Headphone), and all energies were focused on Clear Headphone. The original prototypes looked quite different than the final product. The conductors were tape wrapped, and run through a clear PVC tube. Just a few feet of it existed, so it had to be carefully taken care of during testing, which included many different termination configurations. That one cable was finished, disassembled and re-assembled many times over. When testing was complete, we realized we had a spectacular headphone cable deserving of a spot at the top of our product line. Tight bass, smooth midrange characteristic of Cardas, spectacular high end extension and holographic imaging. 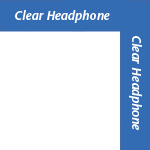 A/B comparing Clear Headphone with a stock cable can be a jaw dropping experience. For production, the clear PVC tube was replaced with soft, flexible TPR rubber, over which a black & white chevron pattern braid is applied. The two cables are held together with aluminum hardware, anodized black and laser-engraved with the Cardas Nautilus logo. 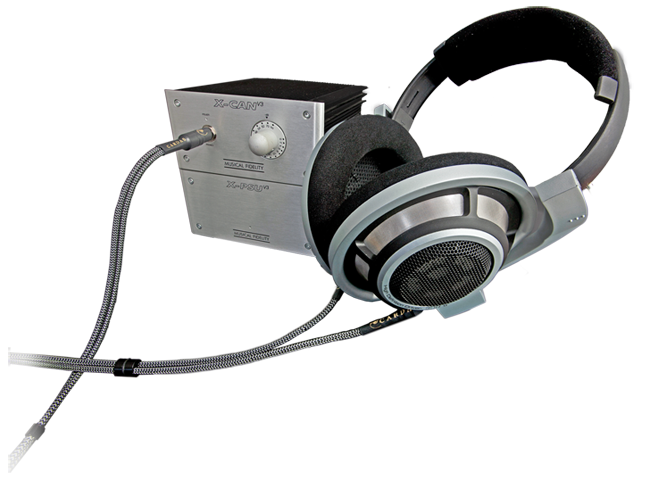 A machined Delron joiner can be slid up or down to adjust for various sizes of headphones and heads. .166" x 2 O.D., Cardas copper, PFA & cotton dielectric, 8 x 26.5 AWG conductors, Matched Propagation, Golden section, Crossfield, litz, TPE inner jacket, braided nylon braid outer..